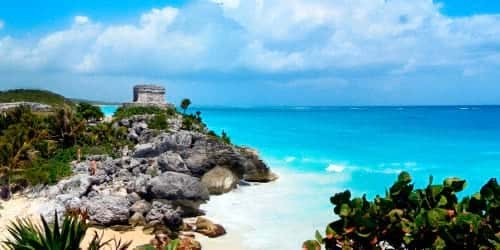 Choose between our three options and don’t miss the opportunity to see Tulum. 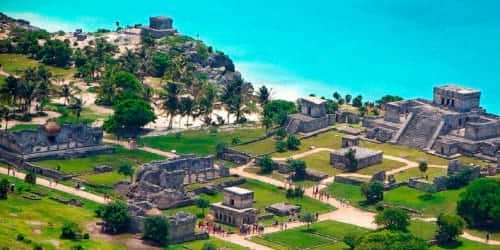 Previously called “Zama” (Walled City), this mayan ruins served as an important port for commerce for the Mayan Culture, hence the high profile & protection. The most amazing part is it’s main temple, located off a cliff guarding the Caribbean Sea. Choose your Tulum Tour and book with Happy Shuttle.